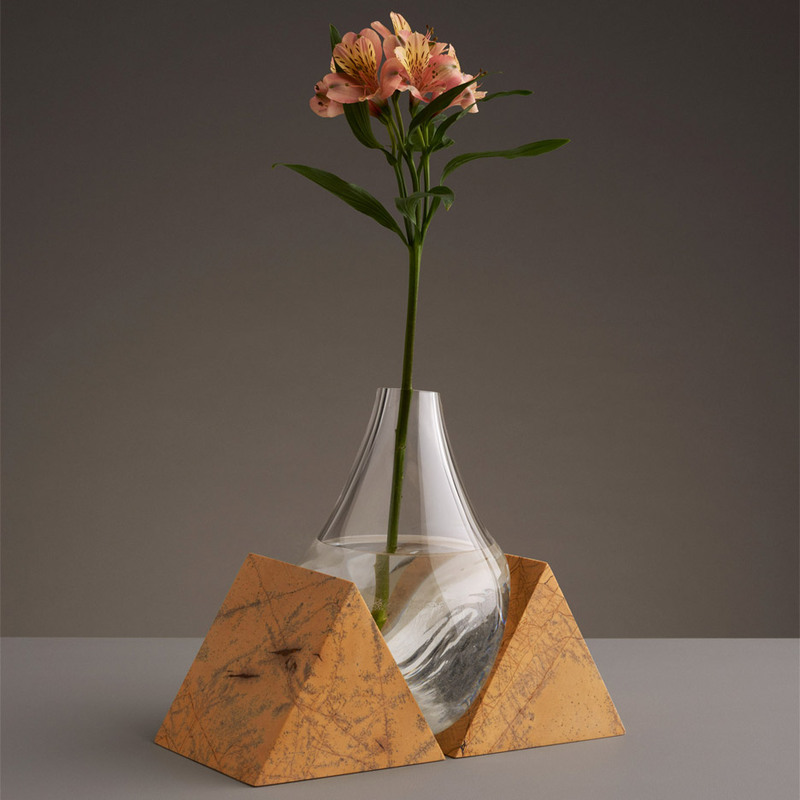 HomeBlogArtIndefinite Vases by Studio E.O. 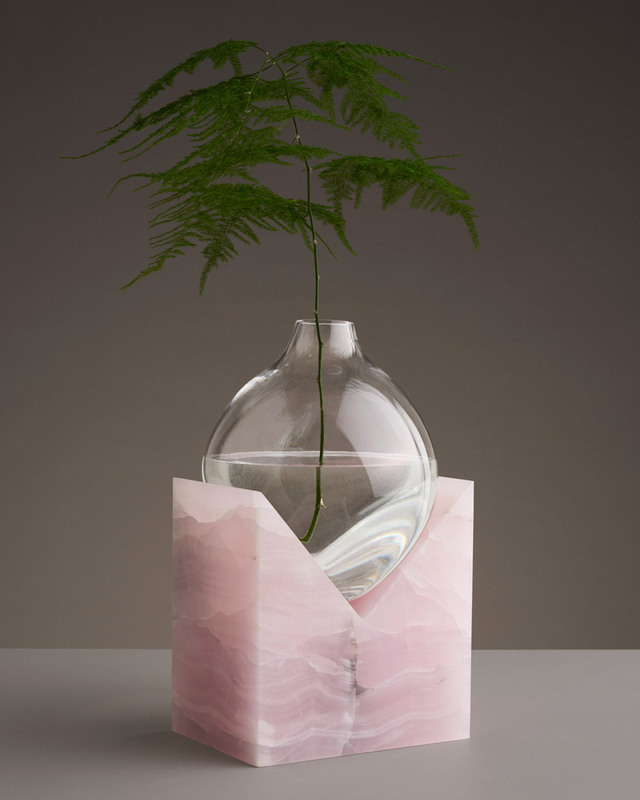 Studio E.O is a multidisciplinary design practice founded by designer Erik Olovsson and based in Stockholm. 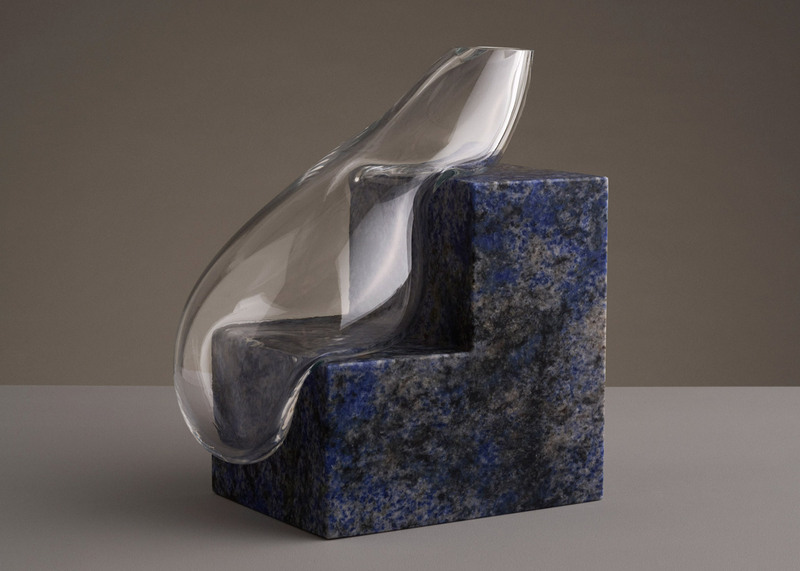 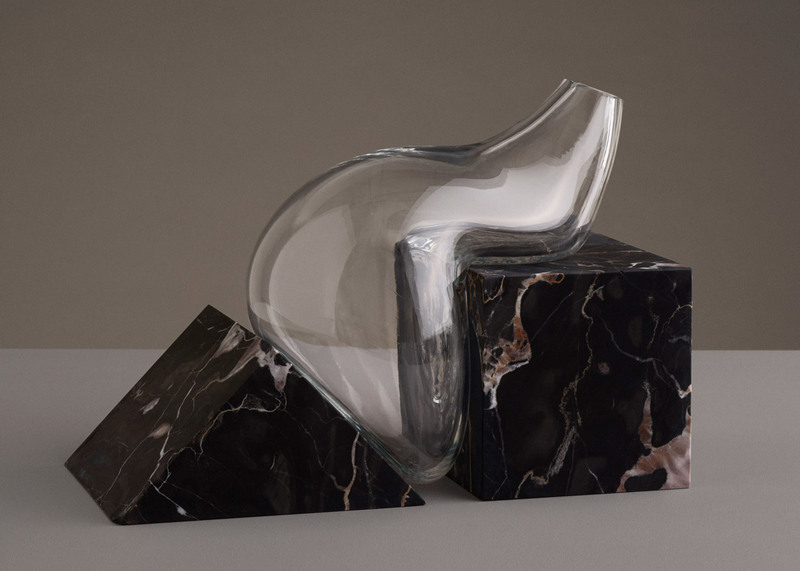 The Indefinite Vases are an unusual project, a combination of hand-blown glass and cut stone. 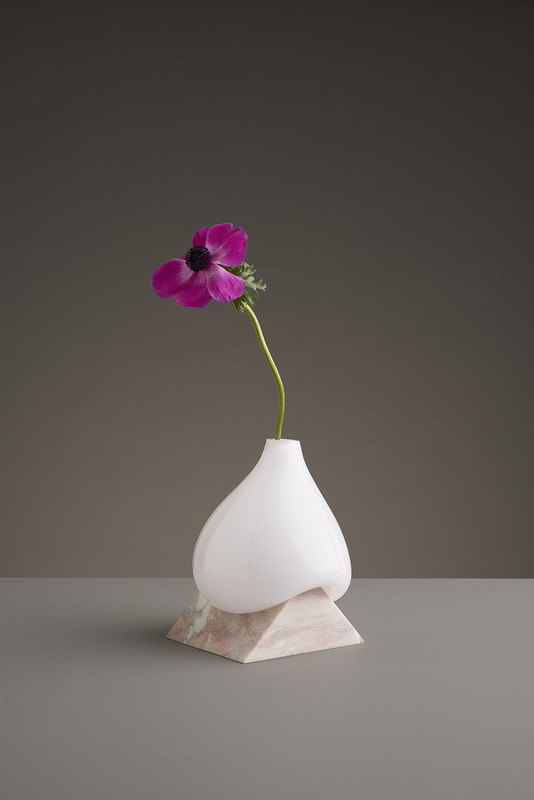 Traditional vase forms are melted and cooled around sharp edges to create place-specific vessels. 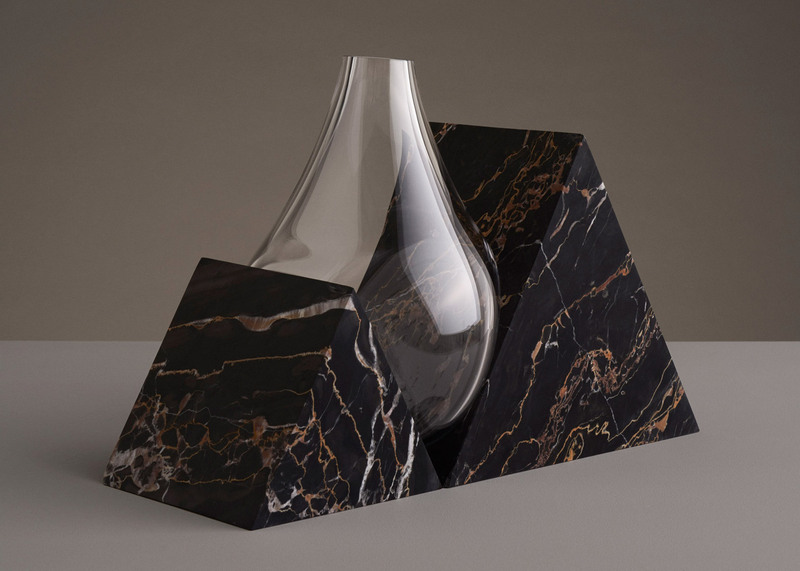 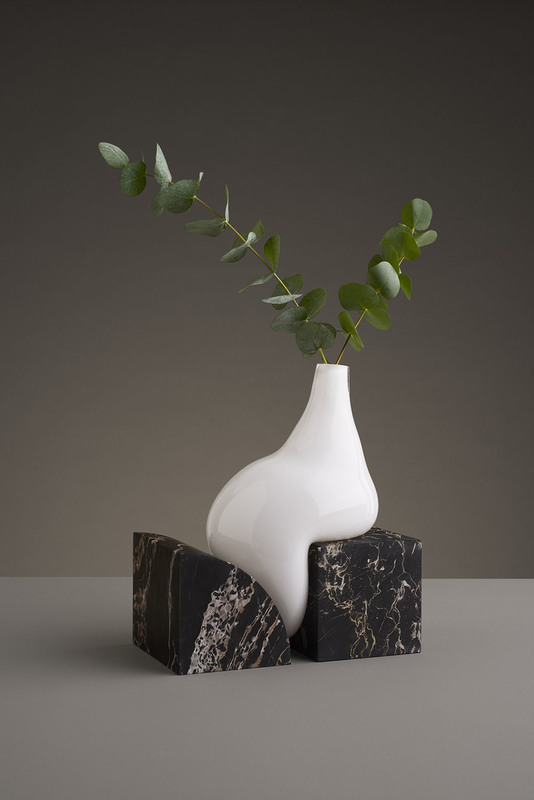 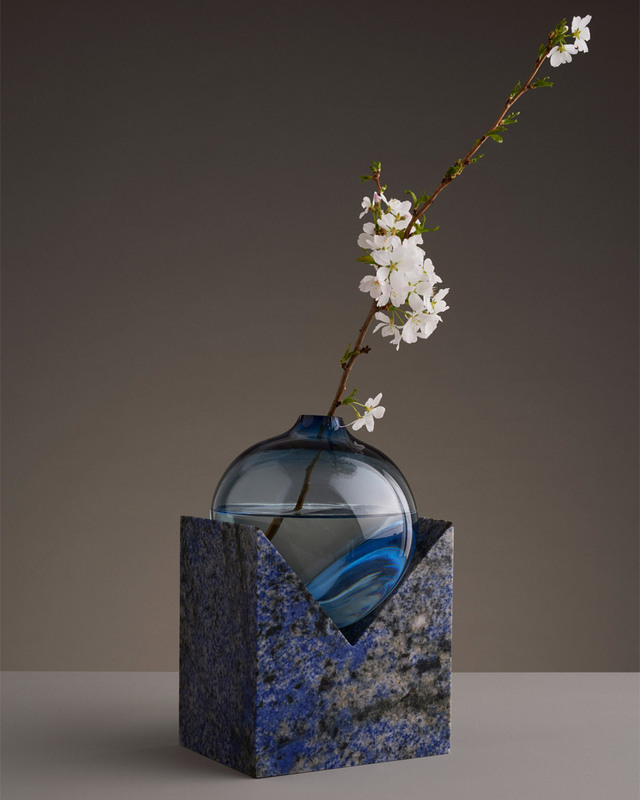 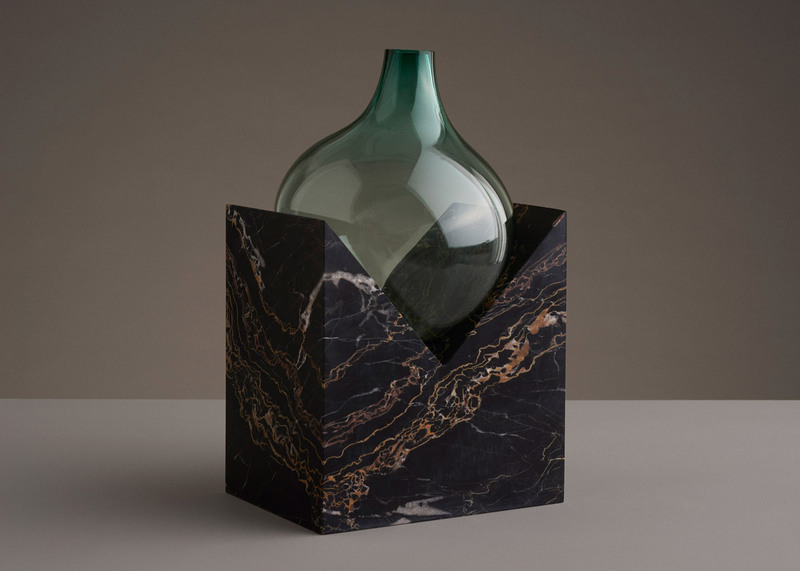 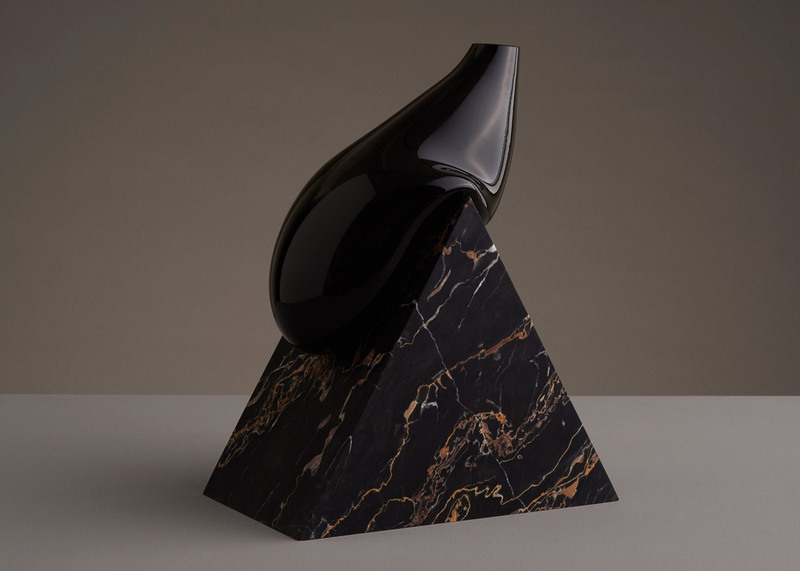 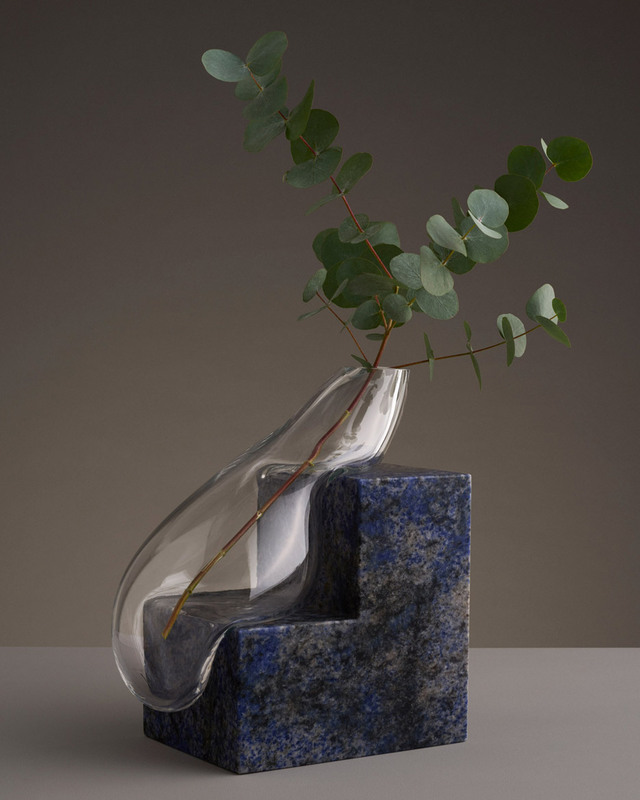 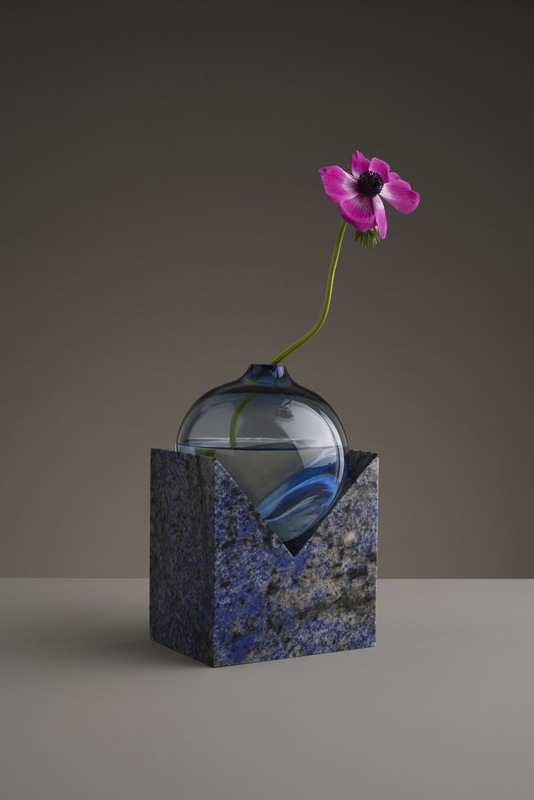 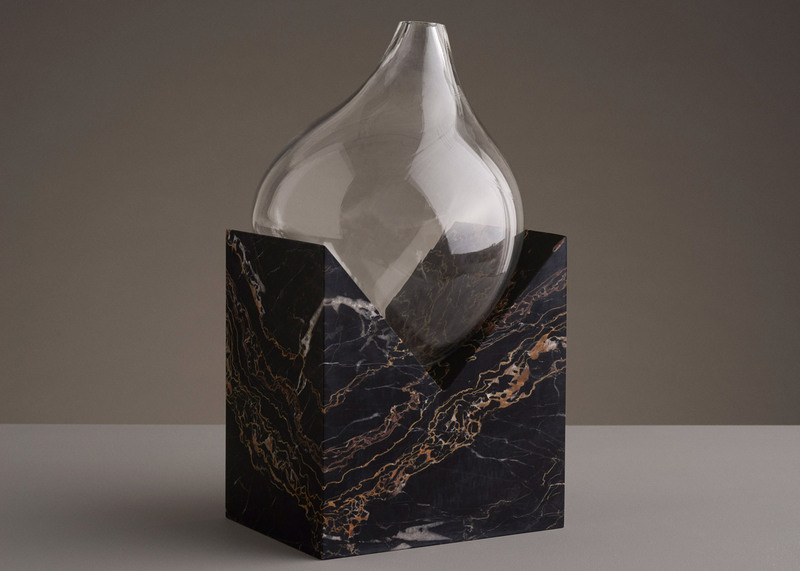 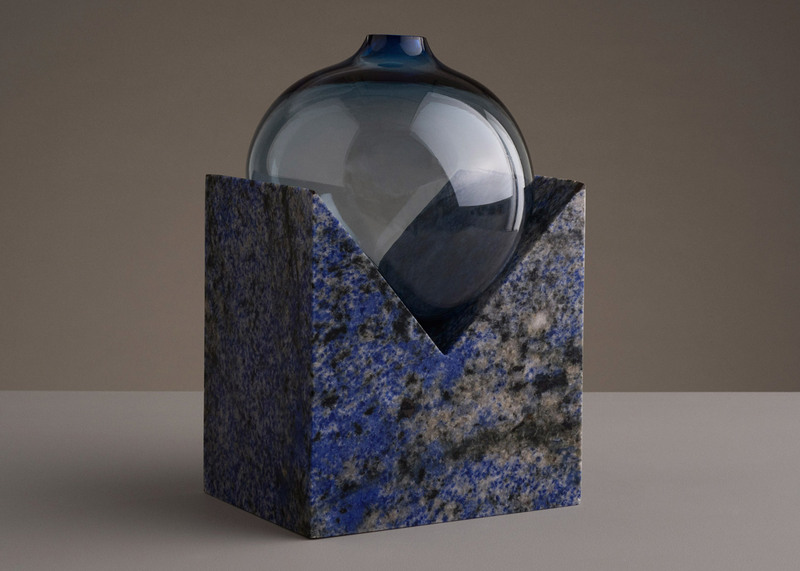 The glass elements of the vases are being hand-blown in Stockholm, while the bases are made of marble, granite and onyx, organic materials with amazing natural patterns and colors. 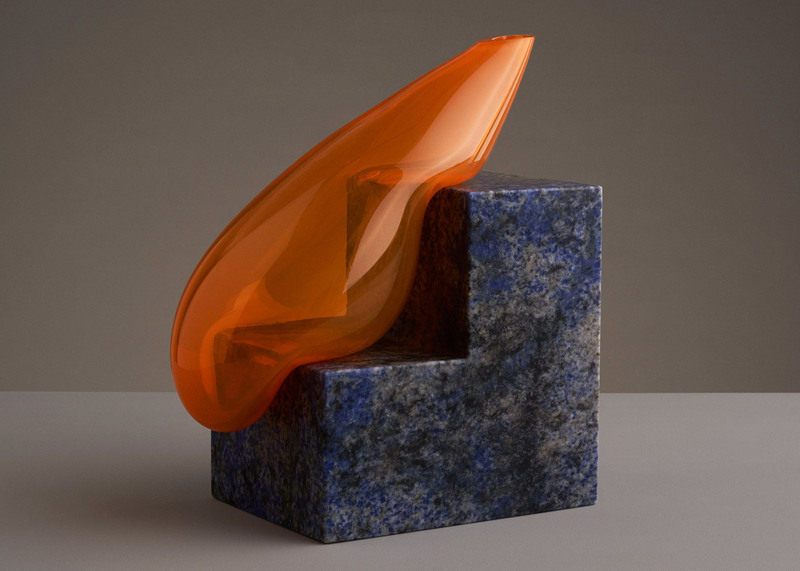 The end-result is certainly visually appealing as the contrast between geometric lines and fluidity is simply stunning. 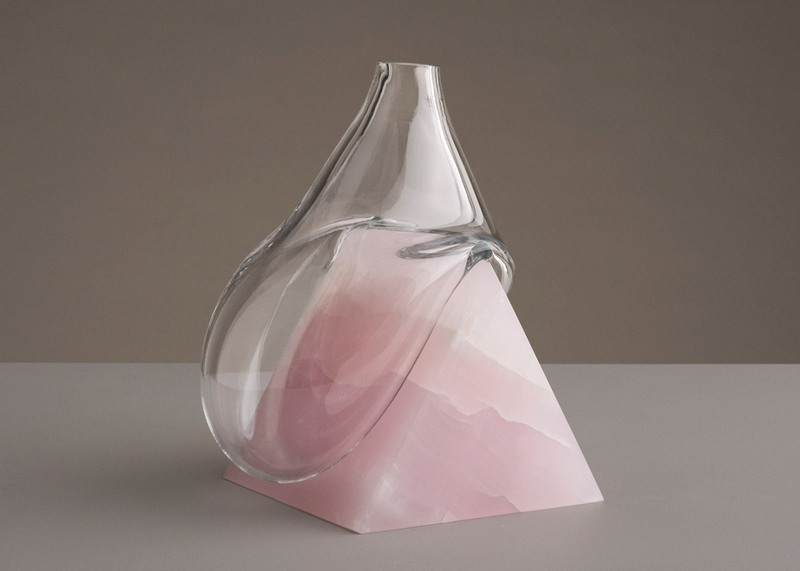 Indefinite Vases are in all certainty small artworks, disguised as vases. 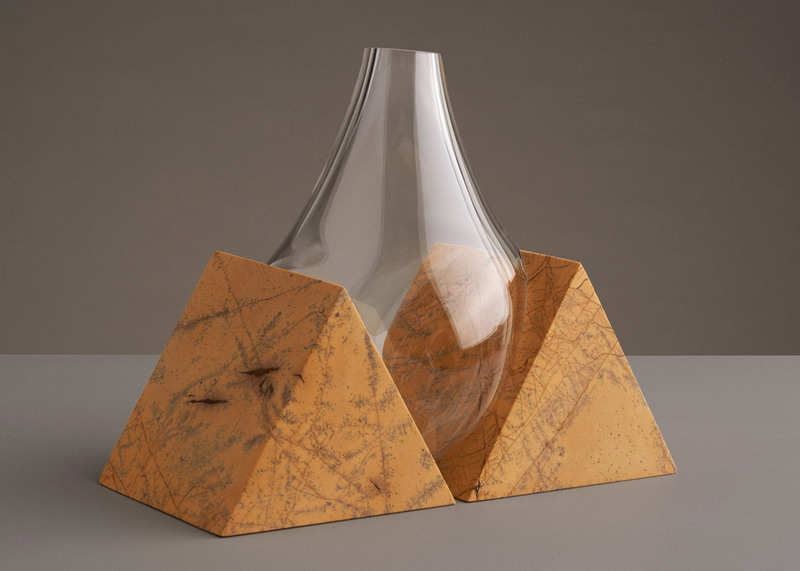 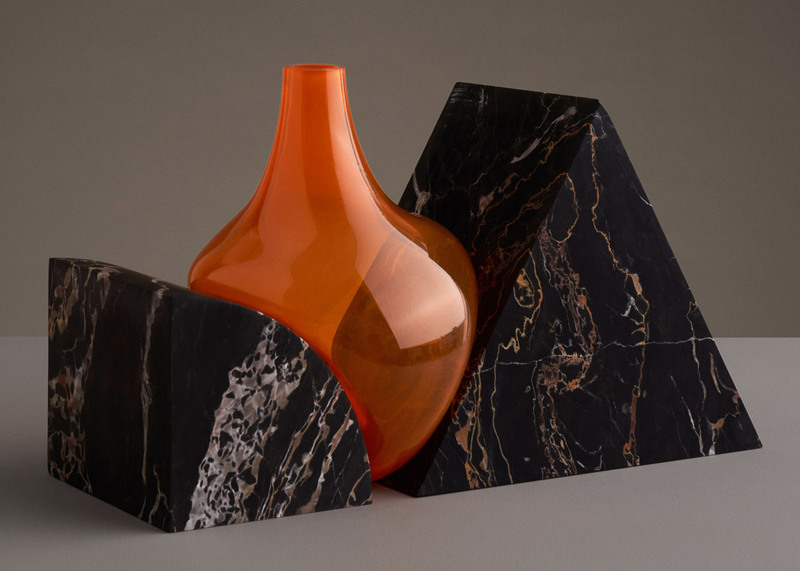 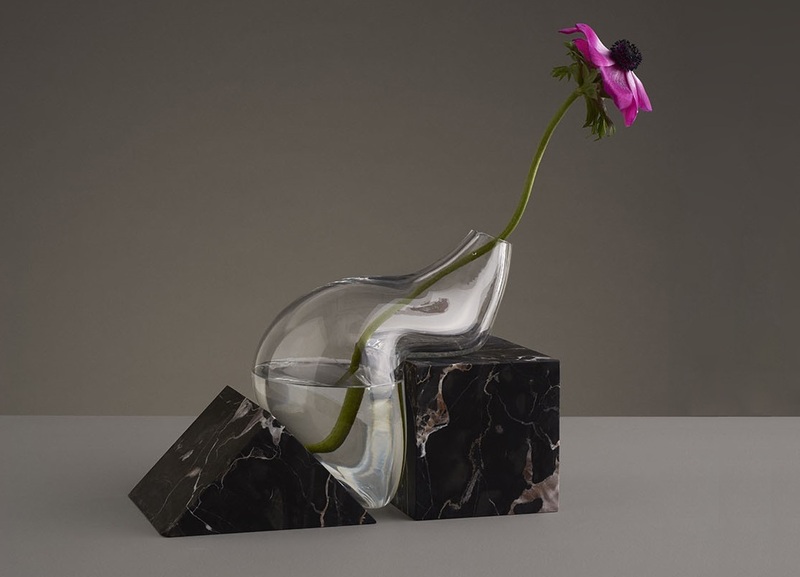 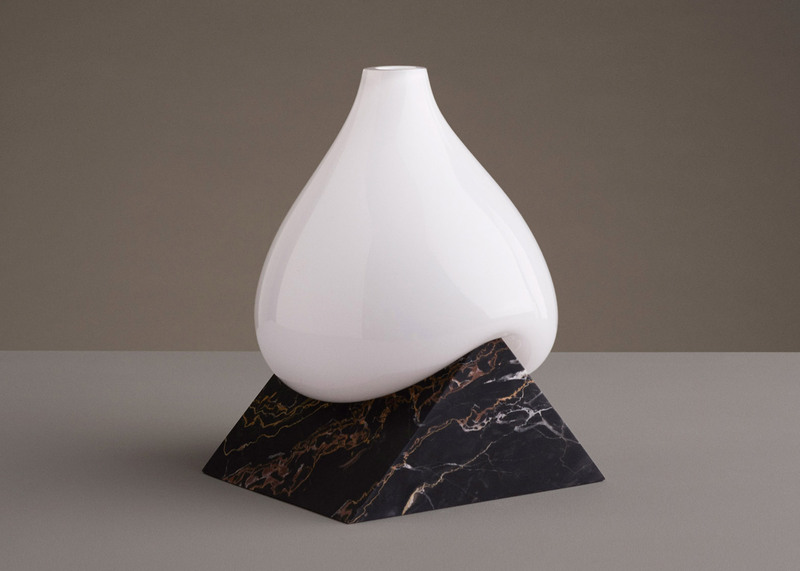 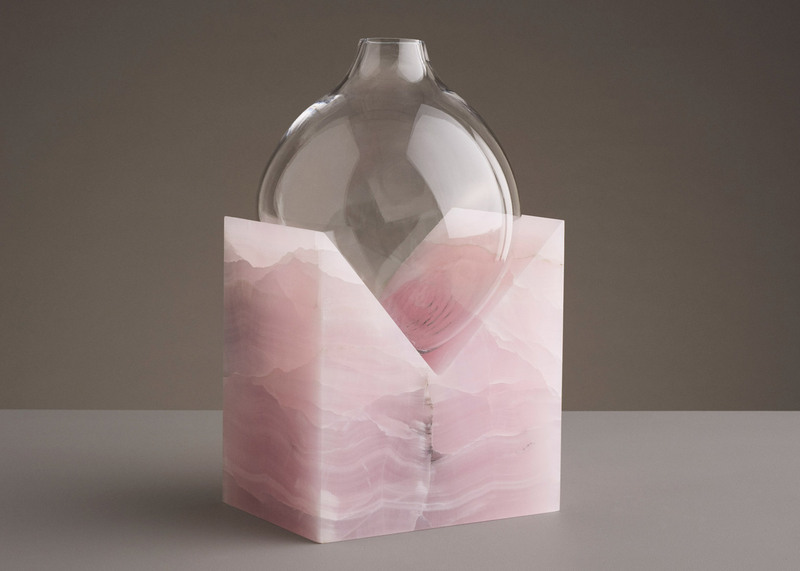 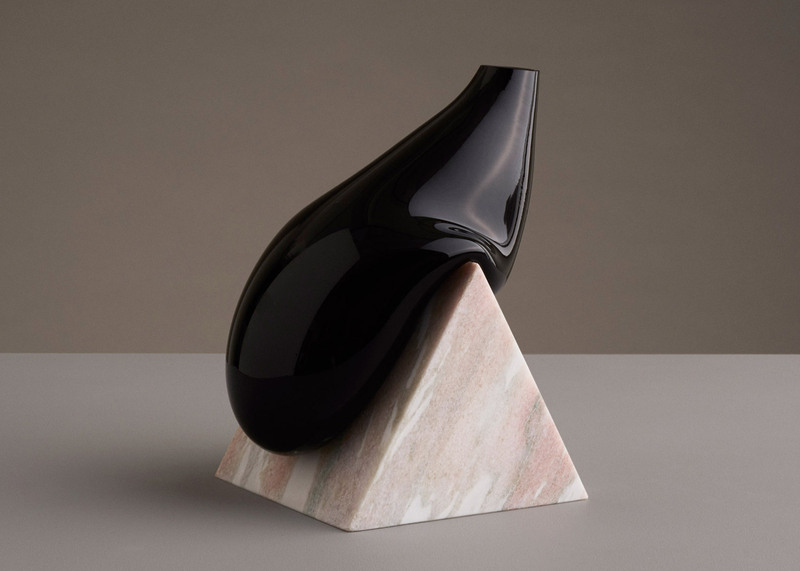 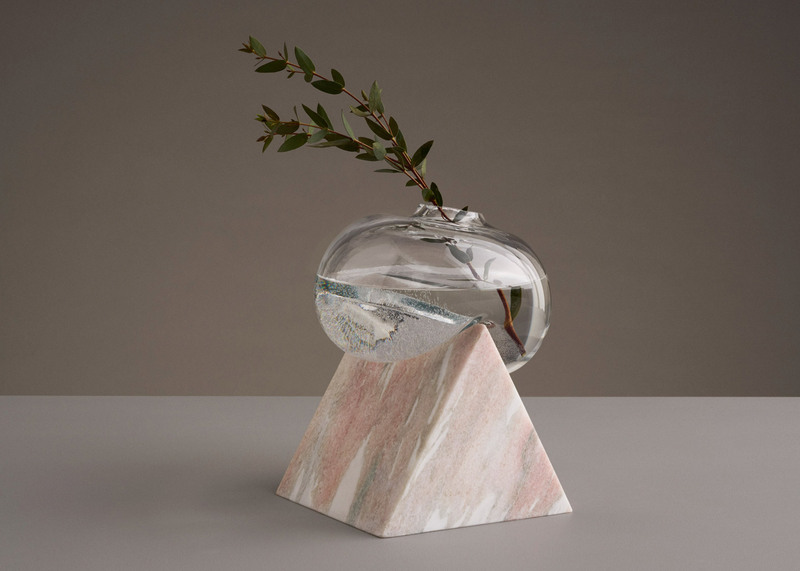 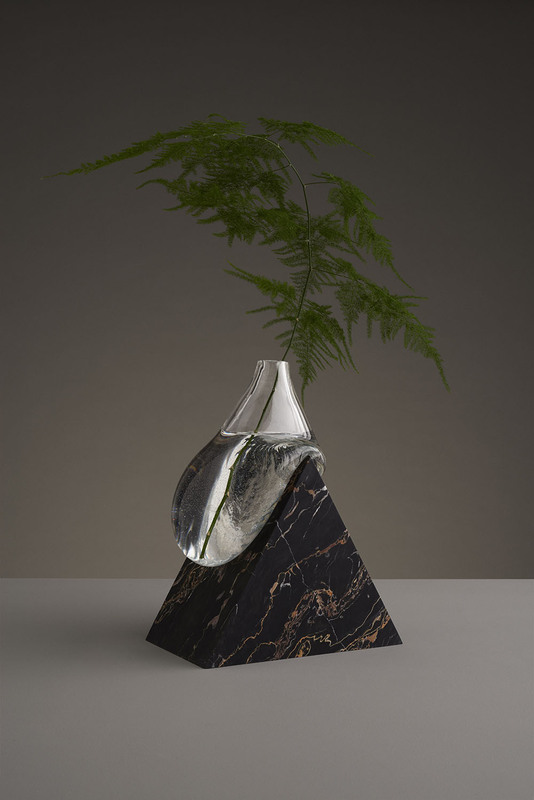 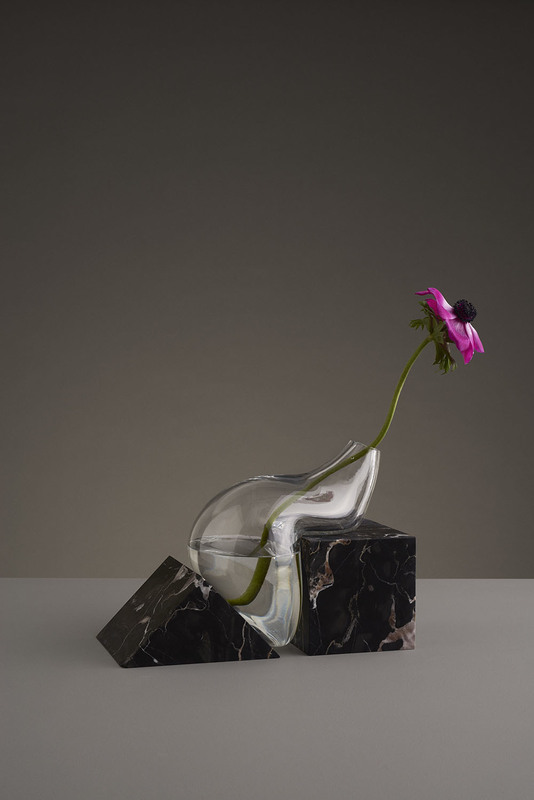 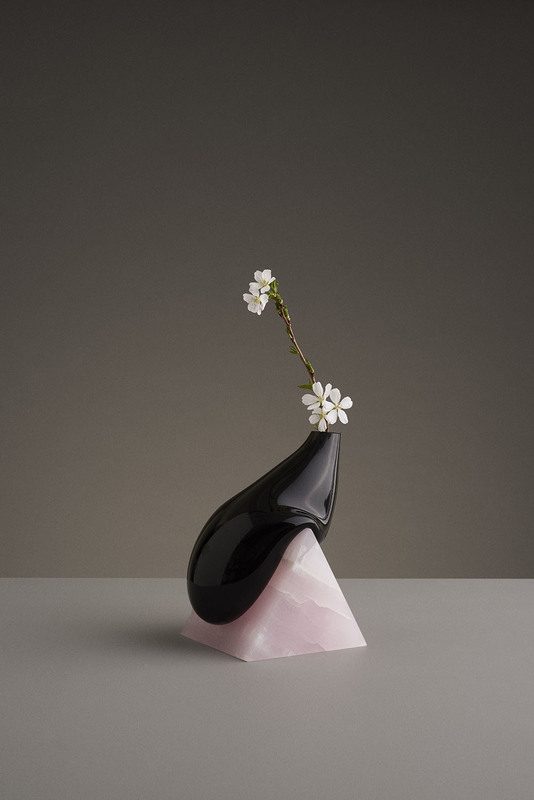 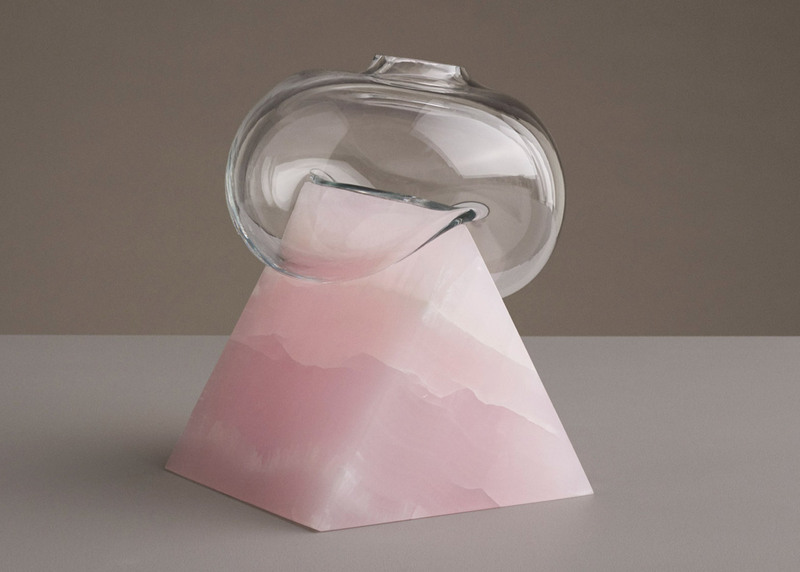 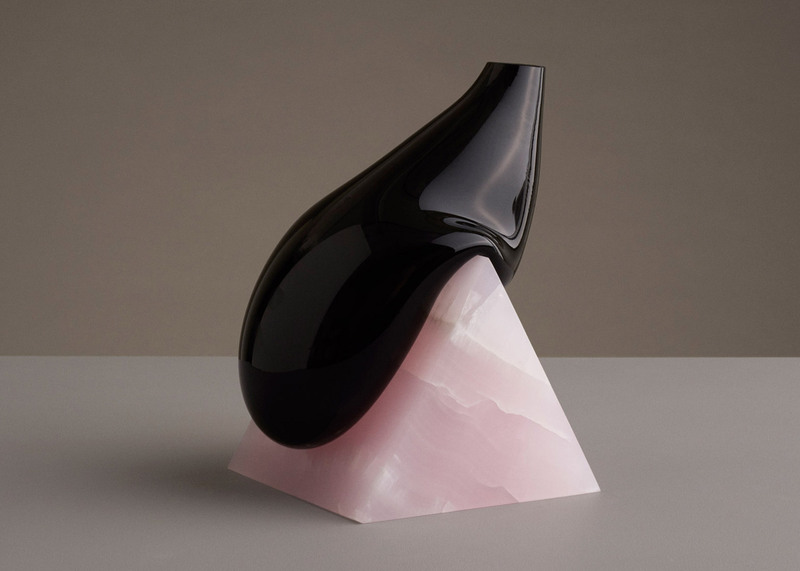 The collection features seven designs, including balloon-like vases that appear wedged between pieces of stone, and white and black glass containers that appear to be melting over pink triangular bases. 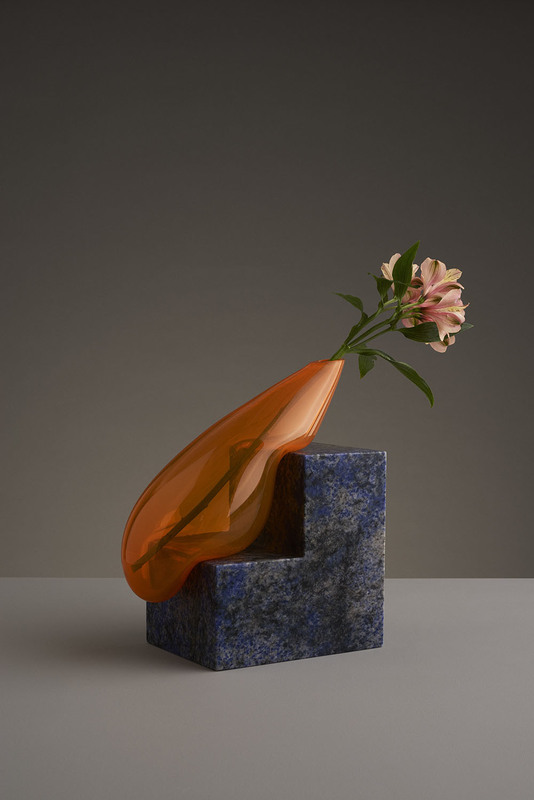 However Indefinite Vases is an ongoing project, with seemingly infinite possibilities, “I don’t really see any end” Olovsson says. 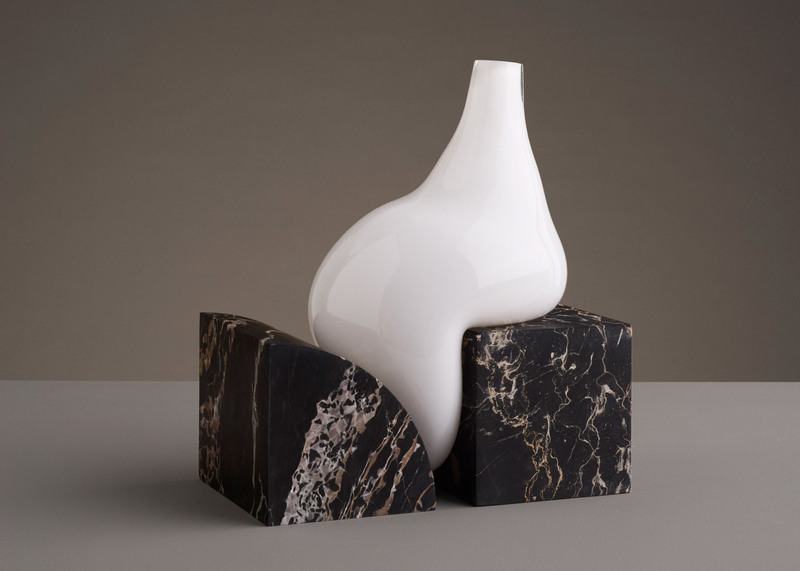 For more images and additional information regarding the evolution of this exciting vase collection you can visit Studio E.O here.